Caribou hunting in Canada’s subarctic is the big game hunter’s premier adventure — the experience of a lifetime. The Lodge at Little Duck is the only full-service lodge located on the annual migration route of the Qamanirjuaq Caribou Herd that is estimated at over 285,000 animals. 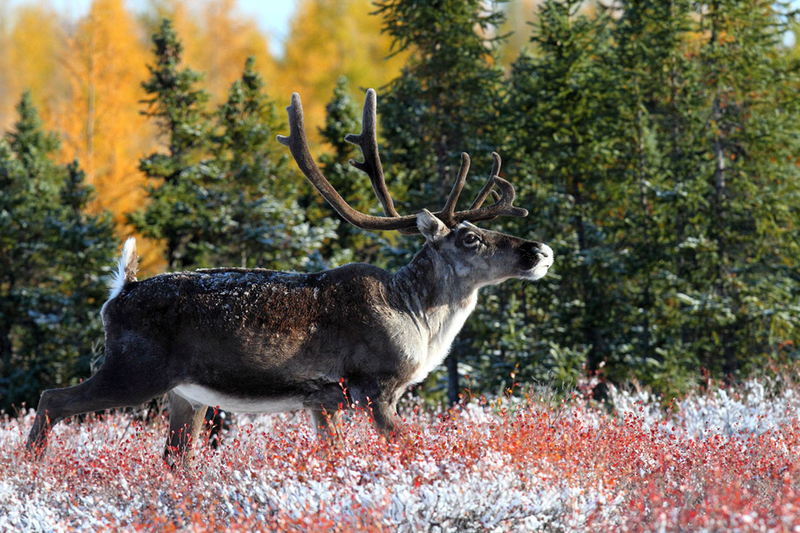 The Caribou season opens near the end of August and the hunt goes through the 4th week of September. Traditionally, The Lodge at Little Duck has stayed open one week longer than most lodges, and although the weather can be rather challenging, the hunting can be fantastic. These lucky hunters get to experience the last big “push” of animals coming through our area from their northern calving grounds. The 2017 caribou hunting season in Northern Manitoba and at The Lodge at Little Duck was nothing short of amazing. The caribou once again came through our area in good numbers throughout the entire season. The overall quality of the animals harvested provided us one of the best years we have ever experienced. The hunters at The Lodge at Little Duck had 100% success on first tags and roughly 90% on their second tags. What else can a hunter expect on a caribou hunt…. how about some of the best fall fishing to be found anywhere North America. This unexplored territory is a remote paradise where hunters will experience one of their most memorable big game adventures. The caribou’s high, sweeping, multi-tined racks are a much sought-after trophy and make spectacular taxidermy displays. This beautiful virgin land is surrounded by pristine waters and beautiful vast landscapes, providing an incredible backdrop for your adventure. Visit The Lodge at Little Duck for more details on our Manitoba caribou hunts.